I’m something of a brownie junkie. That said, I am very specific about what I want in a good brownie, and I’m sad to admit I am not satisfied with most coffee shop or bakery brownies. 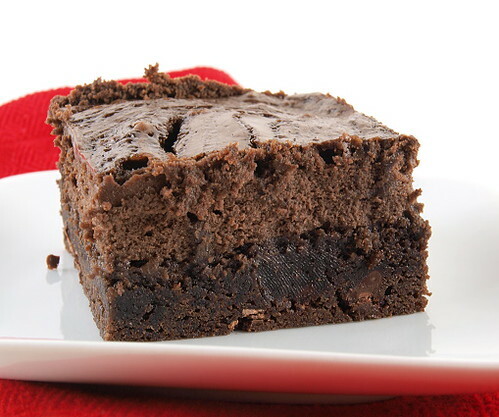 Give me deep, dark, intense, and fudgy brownies and I am a happy woman. These needs do not change when the brownies in question are topped with a creamy cheesecake layer. In fact, I find I get even more picky when cheesecake is added. I want my cheesecake layer creamy and light, but with distinct tangy flavor. Also, I prefer that cheesecake layer to be chocolate. As cheesecake brownies go, these are my ideal. 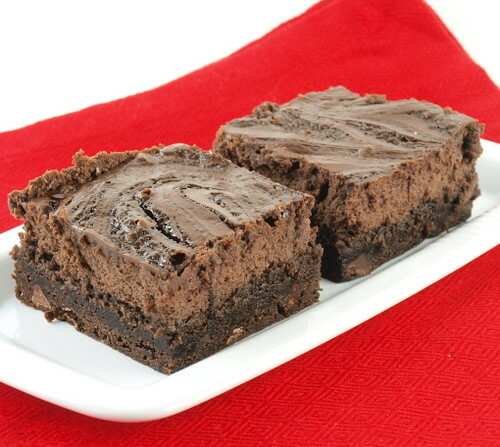 The chocolate flavor is bold, the cheesecake is tangy, and the brownie on the bottom is moist and chewy. 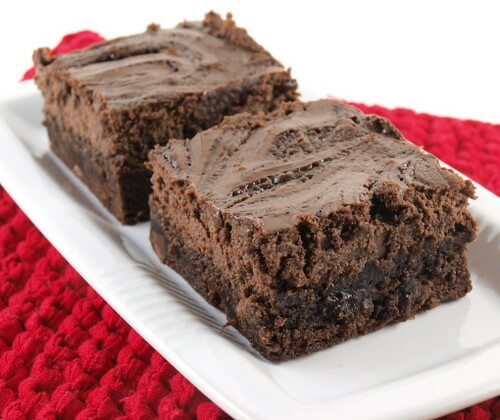 Let these brownies warm up slightly before serving. 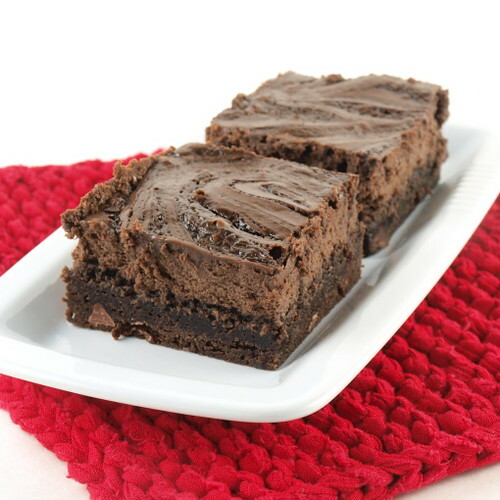 Not that you can’t eat them cold from the fridge (on a hot day these brownies surprisingly refreshing straight from the chill chest), but the flavors of the chocolate and cheesecake are best closer to room temperature. Heat the oven to 350 F. Spray an 8 x 8″ pan with non-stick spray, line with parchment paper leaving a three inch overhang on either side, and spray the parchment. Begin by preparing the cheesecake layer. In the bowl of a food processor combine the cream cheese and sugar. Process until smooth. Add the remaining ingredients and process until well mixed. Set aside. In a small microwave safe bowl add the butter and chopped chocolate. Using 30 second bursts, melt the chocolate with the butter. Pour the melted chocolate in a large bowl and add the sugar, golden syrup, melted butter, eggs, and vanilla. Whisk until smooth and well mixed. 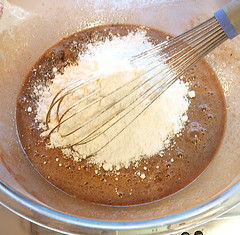 Add the cake flour, cocoa powder and salt. 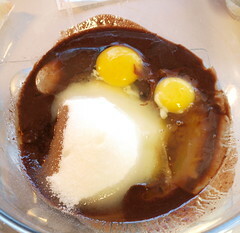 Whisk until the mixture is smooth, about ten strokes, then fold in the chocolate chips. 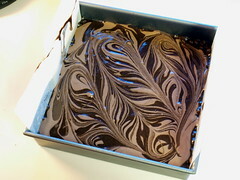 Set aside 1/2 cup of the brownie batter, then pour the remaining batter into the prepared pan. Top with the cheesecake batter. Drizzle the reserved brownie batter over the cheesecake and, using a butter knife, swirl the batter in. Bake for 40 minutes, or until the sides pull away and the cheesecake is just set. 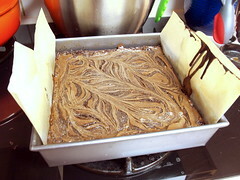 Allow the brownies to cool completely, then chill for at least two hours before slicing.